The NECA/IBEW Powering America team is involved with many projects that make an impact on communities around the country. One industry they focus on in particular is healthcare. 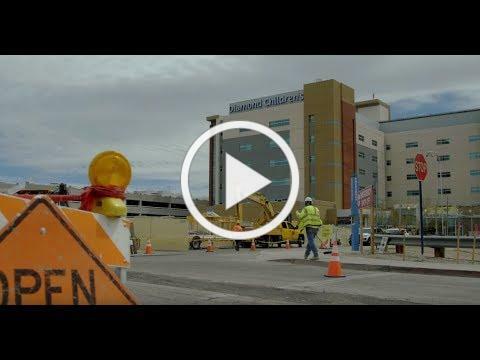 In just a few short months, a new facility, the Banner University Medical Center, is opening in Tucson, Arizona. When this project is completed, the hospital will be state of the art, delivering the latest healthcare to people in the surrounding area. The NECA/IBEW Powering America team is able to work with computerized workstations, essentially digitizing the ‘paper’ across the job site from plans, prints and schematics to change orders and punch lists. In the end, it boils down to getting the installation done right, the first time – eliminating conflicts and potential rework. Not only will this facility help the Tucson area, but it will also help the city in terms of new jobs and education of up and coming nurses and doctors. The Banner University Medical Tower is an ‘integrated project delivery’ or IPD. The owners, architects, engineers, and construction team determine costs, design planning and scheduling, and then turn the plans over to the building information modeling team. Central to the ultimate success of the project is the stakeholders that are involved from the beginning. They remain active throughout by staying onsite, monitoring progress, resolving issues, and streamlining the construction effort. The end result is building relationships and building trust. Once the Banner Health University Medical Center opens its door, it will do so with the confidence that it has the electrical communications systems that will not only support its mission today, but in the future as well. There’s just something a little extra special when NECA/IBEW Powering America Team projects directly impact the well being of an entire community.